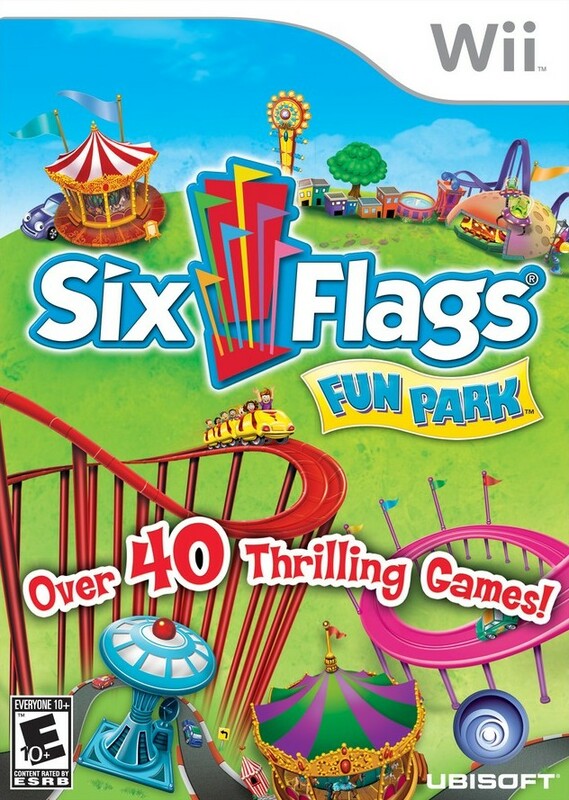 Six Flags Fun Park is tons of fun! I had a great time working on this game with industry veterans Daniel Birczynski and Bo Bennike. 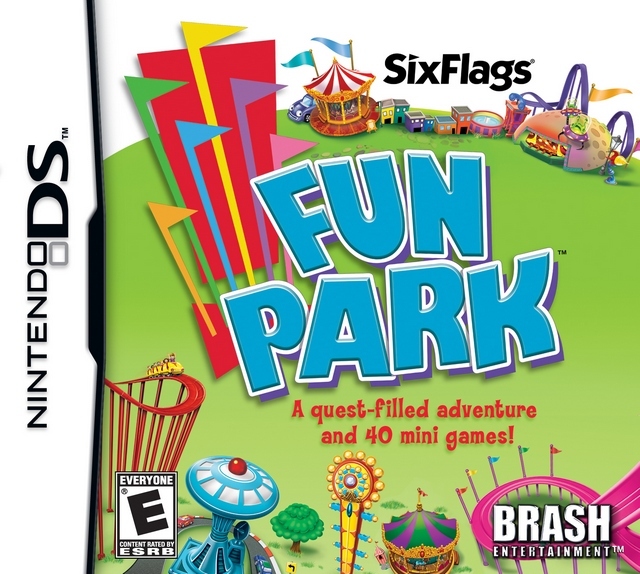 We created an amazing sonic environment for the park and a wide variety of entertaining sounds for the mini-games. Each of the 5 themed areas of the park required a unique sonic aesthetic, making for the perfect exercise in sound design. We covered a range of styles appropriate for sci-fi, haunted, urban, pirate themed, and classic carnival environments; each with unique background ambiences mixed in Dolby Pro Logic II surround sound. Audio implementation was accomplished using a combination of FMOD Designer and Lua scripting. We achieved some very realistic and natural sound effects by using variables from our game logic and the Havok physics engine to modulate sound event parameters. The end result is audio that reacts to the game environment: collision sounds that cross-fade from soft to hard based the strength of impacts, rolling sounds with volume and pitch affected by an object’s velocity, engine sounds directly linked to the thrust mechanics of a vehicle, trigger & cross-fading different sound effects based on the type of materials involved in a collision (metal hitting wood, water, or pavement for example) and so much more. I’m very pleased to see that Audio is consistently receiving the highest scores in many reviews!